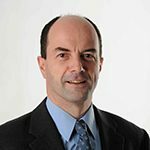 Dermot Kelleher appointed Dean of the UBC Faculty of Medicine. 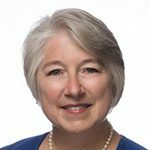 Biography Dr. Kelleher brings significant experience and is recognized internationally for innovation in academic health leadership and administration, clinical care, research and education. 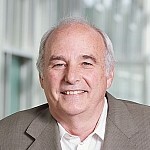 Dr. Kelleher joined UBC in 2015 as Dean of the Faculty of Medicine. 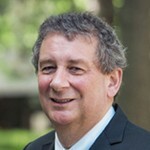 Prior to his appointment at UBC, Dr. Kelleher served as Vice-President Health and Dean of the Faculty of Medicine at Imperial College London, where he also held a concurrent appointment as Dean of the Lee Kong Chian Medical School in Singapore until 2014. Dr. Kelleher has also served as Head of the School of Medicine and Vice Provost for Medical Affairs at Trinity College, Dublin. 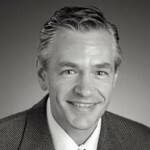 Dr. Kelleher graduated from medicine from Trinity College Dublin in 1978, going on to specialize in gastroenterology. Author of 300 publications and 14 patents, Dr. Kelleher’s research examines the immune response to many of the leading causes of gastrointestinal infectious disease worldwide. 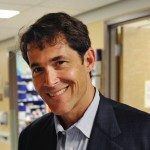 Over the years he has received many prestigious awards including a Fogarty Scholarship at the University of California San Diego, Wellcome Senior Fellow in Clinical Science, and most recently the Conway Medal from the Royal Academy of Medicine in Ireland. With a strong commitment to innovation and collaboration, Dr. Kelleher has worked to found several companies supporting both translational developments in biomedical science and fostering collaboration in biomedical research in both Dublin and London. He also served as President of the Federation of European Academies of Medicine until moving to British Columbia. 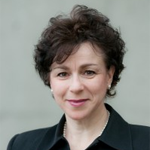 The University of British Columbia Faculty of Medicine is pleased to announce the appointment of Dr. Deborah Money as Executive Vice Dean, effective April 1, 2016. 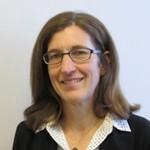 Dr. Money is a distinguished member of the Faculty of Medicine community as an alumna, Professor in the Department of Obstetrics and Gynecology, associate member in the Department of Medicine and the School of Population and Public Health, and active clinician and researcher in Reproductive Infectious Diseases. Dr. Money is currently, Vice President, Research at BC Women’s Hospital and Health Centre, Provincial Health Services Authority. Trained with a BSc in Microbiology, Dr. Money then completed her MD followed by her residency in Obstetrics and Gynecology at UBC. She did a clinical and research Fellowship in Infectious Diseases at the University of Washington, and returned to UBC and to the Oak Street campus as the first individual in Canada with this combined training. In collaboration with colleagues here at UBC, Dr. Money has developed an education and translational research program in Reproductive Infectious Diseases with research focused on three major areas: HIV in pregnancy, Human papilloma virus (HPV), and the prevention of cervical cancer; and most recently is leading a personalized medicine research program (CIHR/Genome BC) to understand the role of the vaginal microbiome in health and disease. She is also actively involved in teaching at the undergraduate, postgraduate and CME level, and established the first fellowship in Infectious Diseases for Obstetrician/Gynecologists in Canada. 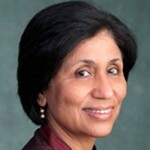 She is a past-President (and first non-US President) of the Infectious Diseases Society of Obstetrics and Gynecology. In 2013 she was awarded the Society of Obstetrics and Gynecology Western Regional Award for achievement, the YWCA, metro Vancouver, Woman of Distinction Award and the Queen Elizabeth II Diamond Jubilee Medal. As Executive Vice Dean, Dr. Money, in coordination with the Dean, will have a major role in the management of the Faculty of Medicine, including working with the Faculty in the implementation of the five year strategic plan. Dr. Money will also provide operational leadership to Department Heads and School Directors, as well as oversight of academic standards and the administrative functions of the Faculty. 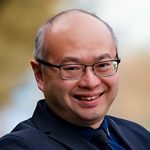 The Faculty of Medicine is pleased to announce the appointment of Dr. Roger Wong as Executive Associate Dean, Education, effective July 1, 2016 to June 30, 2021. 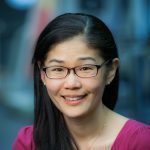 In this role, Dr. Wong will offer strategic leadership, while creating and nurturing existing partnerships to help move the vision for the Faculty of Medicine forward. In addition to overseeing the distribution of the Faculty’s educational programs across the province, he will ensure accreditation standards are met and that our programs — across the health disciplines and across the continuum of learning — are effectively integrated. Dr. Wong brings extensive leadership to this role, having served as the Associate Dean, Postgraduate Medical Education, since 2012. He is also a Clinical Professor in the Division of Geriatric Medicine in the Department of Medicine. 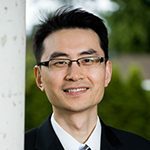 Dr. Wong works tirelessly to advance academic and clinical health sciences related to geriatrics, and his work has significant impact on the care for older people in Canada and beyond. He was President of the Canadian Geriatrics Society and founded the state-of-the-art Acute Care for Elders Units (ACE) in Vancouver, which has been implemented nationally and internationally. His clinical research focuses on hospital medicine in vulnerable older adults, including quality improvement in acute care geriatrics. 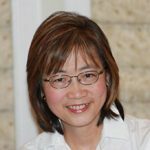 Dr. Wong has published and lectured extensively on geriatric medicine and medical education. Dr. Wong’s appointment follows the exceptional leadership of Dr. David Snadden, who will continue in this role until the end of his term. I would like to thank Dr. Snadden who has, for well over a decade, worked in partnership to develop and extend the reach of our health professional programs across the province to address the health needs of the population. Moving forward, Dr. Snadden will continue to be based in Prince George, where he will carry on in his role as a professor with the Department of Family Practice. In the short-term, he will take an administrative leave to help further develop his interests in rural health, which include policy development on rural recruitment and retention, and developing a better understanding of initiatives that support rural health in terms of education, quality improvement and research. The Faculty of Medicine is pleased to announce that Robert McMaster, an Associate Dean, Research has been appointed the Interim Executive Associate Dean, Research for the Faculty of Medicine, effective March 15, 2016 to December 31, 2016. Dr. McMaster brings considerable administrative experience and intellectual vigor to the role and is particularly well-positioned to foster scientific collaborations between the Faculty and its health authority partners, as he is currently the Vice President Research for Vancouver Coastal Health and the Executive Director of the Vancouver Coastal Health Research Institute (VCHRI). As the Interim Executive Associate Dean, Research, Dr. McMaster will lead the development of a health and life sciences research strategy and ensure the research is translational and of the highest caliber. He will provide guidance to health research program leaders and ensure resources are supported effectively across the Faculty on all campuses and health authorities. He will also play a key role in formulating the research component of the Faculty’s new strategic plan, and will ensure that the Faculty’s activities align with the plan’s priorities. Dr. McMaster received a Bachelor and Master of Science from UBC, followed by a D.Phil. from the University of Oxford. A Professor in the Department of Medical Genetics, he has focused his research on molecular immunology, parasitology and transplant immunology. He previously served as Head of the Department of Medical Genetics from 2000 to 2010 and was also Director of the Immunity and Infection Research Centre of VCHRI and Director of Transplant Immunology for B.C. Transplant. Dr. McMaster is actively involved with national and international granting agencies including the World Health Organization, Canadian Institutes of Health Research (where he serves as the Scientific Officer for the Microbiology and Infectious Diseases Peer Review Grant Committee) and the Michael Smith Foundation for Health Research. 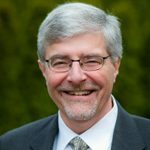 He was Chair of the BC Clinical Research Infrastructure Network (BCCRIN) and was recently appointed the Vice Chair of the Board for Research Canada. Dr. McMaster is also a member of the BC Health Research Council, the National Steering Committee for the CIHR Strategies on Patient Oriented Research (SPOR) as well as a member of the Board of Directors for the Transplant Research Foundation of BC. 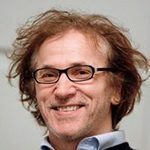 We would like to thank Dr. Howard Feldman, the outgoing Executive Associate Dean, Research, for his exemplary service, his administrative acumen, and his visionary leadership of the Faculty’s research portfolio over the past four years. 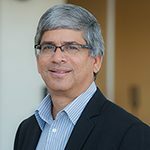 Please join me in wishing him success in his new role at the University of California, San Diego, where he will be Dean of Alzheimer’s and Related Neurodegenerative Research and Director of the Alzheimer’s Disease Cooperative Study. 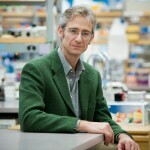 Dr. Robert McMaster is a Professor, Department of Medical Genetics. 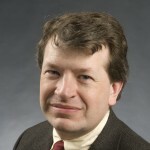 He brings considerable administrative experience and intellectual vigor to the role and is particularly well-positioned to foster scientific collaborations between the Faculty and its health authority partners, as he is currently the Vice President Research for Vancouver Coastal Health and the Executive Director of the Vancouver Coastal Health Research Institute (VCHRI). Dr. McMaster received a Bachelor and Master of Science from UBC, followed by a D.Phil. from the University of Oxford. A Professor in the Department of Medical Genetics, he has focused his research on molecular immunology, parasitology and transplant immunology. He previously served as Head of the Department of Medical Genetics from 2000 to 2010 and was also Director of the Immunity and Infection Research Centre of VCHRI and Director of Transplant Immunology for B.C. Transplant. As the Interim Executive Associate Dean, Research, Dr. McMaster will lead the development of a health and life sciences research strategy and ensure the research is translational and of the highest caliber. He will provide guidance to health research program leaders and ensure resources are supported effectively across the Faculty on all campuses and health authorities. He will also play a key role in formulating the research component of the Faculty’s new strategic plan, and will ensure that the Faculty’s activities align with the plan’s priorities. The University of British Columbia Faculty of Medicine and the University of Victoria are pleased to announce the appointment of Dr. Bruce Wright as Regional Associate Dean, Vancouver Island in the UBC Faculty of Medicine, and Head, Division of Medical Sciences at the University of Victoria, effective July 1, 2014. 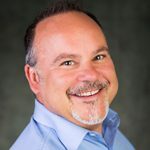 Prior to beginning his career in medicine, Dr. Wright completed a Bachelor of Arts in Economics at the University of Calgary and a Master of Arts in Political Economy at the University of Toronto. In 1987, he received his medical degree from the University of Calgary. 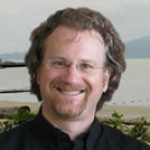 Dr. Wright subsequently completed his residency in Family Medicine at Holy Cross Hospital in Calgary. 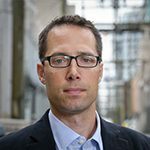 Dr. Wright joins UBC from the University of Calgary as a Professor in the Department of Family Medicine at with a specialty in geriatric medicine. 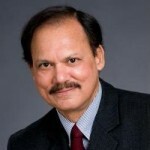 He has a strong interest in international medical curriculum development, including work in Nepal, Laos and Tanzania. Since 2006, Dr. Wright has served as Associate Dean, Undergraduate Medical Education at the University of Calgary. 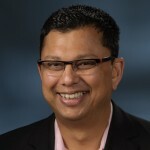 His previous academic leadership positions at the University of Calgary include Associate Dean, Continuing Medical Education and Professional Development, and Acting Program Director, Family Medicine Residency Program. 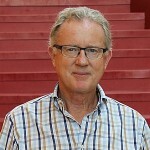 In recognition of his excellence in teaching and health care, Dr. Wright has received several awards including three Letter of Excellence Awards for Excellence in Undergraduate Teaching from the University of Calgary Medical Students Association, and the 2011 Alberta College of Family Physicians Recognition of Excellence Award. 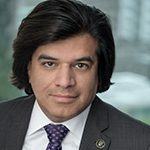 As Regional Associate Dean, Vancouver Island, Dr. Wright will provide strategic leadership of the undergraduate and postgraduate medical programs throughout Vancouver Island including the development and implementation of initiatives and policies that support the growth of medical education. 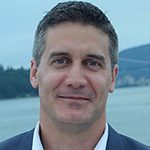 As Head of the Division of Medical Sciences, Dr. Wright will lead the ongoing development of research capacity within Medical Sciences at the University of Victoria. In his roles, Dr. Wright will work closely with partners, such as Island Health, to facilitate the achievement of these goals. 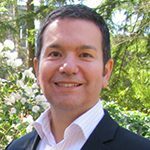 Please join us in welcoming Dr. Wright to his new appointments in the UBC Faculty of Medicine and the University of Victoria. Clinical Assistant Professor, Department of Anesthesiology, Pharmacology, and Therapeutics. We are pleased to announce the appointment of Dr. Cheryl Holmes as Associate Dean, Undergraduate Medical Education (UGME), effective October 1, 2017. 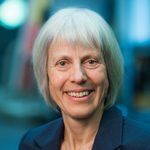 In her role as Associate Dean, UGME, Dr. Holmes will manage undergraduate medical education within the UBC Faculty of Medicine, ensuring medical education activities are aligned with the strategic priorities and plan of the Faculty. She will work with senior leadership at all sites to provide overall curricular oversight of all four years of the UGME program. Dr. Cheryl Holmes is an Intensivist and Clinical Associate Professor in the UBC Department of Medicine’s Division of Critical Care. Previously, Dr. Holmes served as Interim Assistant Dean, Curriculum and before that Site Director for the Year 3 Clerkship at the Southern Medical Program in Kelowna. She obtained her MD from UBC in 1984, and after ten years of general practice, she enrolled in Internal Medicine at UBC and went on to complete a Critical Care fellowship. 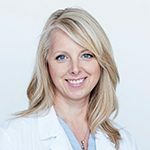 Since 2001, Dr. Holmes has practiced critical care medicine at Kelowna General Hospital where she is involved in clinical education of medical students, residents, and fellows in the ICU. In 2013, Dr. Holmes completed a Masters of Health Professions Education at the University of Illinois at Chicago, earning Best Thesis for her work entitled Harnessing the Hidden Curriculum; a Four Step Competency Approach. In 2015 she received the Canadian Association for Medical Education (CAME) Certificate of Merit Award. In collaboration with the Centre for Education Scholarship at UBC, Dr. Holmes is engaged in the ongoing research project: The Student Voice Project. 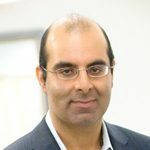 The Faculty of Medicine announces the appointment of Dr. Ravi Sidhu as Associate Dean, Postgraduate Medical Education, effective September 15, 2016 to September 14, 2021. In this role, Dr. Sidhu will be responsible for the overall conduct and supervision of postgraduate medical education for all residents, postgraduate (clinical) fellows and international medical graduates within the Faculty of Medicine. In addition to overseeing the expansion and distribution of postgraduate medical education programs across British Columbia, he will ensure accreditation standards are met and that our programs are aligned with the Faculty of Medicine’s 2016-2021 strategic plan. Dr. Sidhu brings extensive leadership to this role, having served as the Assistant Dean, Postgraduate Medical Education, since 2013. He is also an Associate Professor in the Division of Vascular Surgery in the Department of Surgery. Dr. Sidhu is a medical education scholar with a focus on residency assessment and learning. 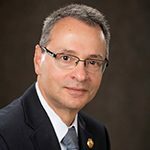 He has served as Chair of the Education Research Committees for the Canadian Society of Vascular Surgery and the Association for Surgical Education respectively. Dr. Sidhu has been recognized nationally for his work in medical education, and is the 2017 recipient of the Royal College of Physicians and Surgeons James IV Travelling Surgical Fellowship. Dr. Wyeth Wasserman has been appointed the Executive Director of the BC Children's Hospital Research Institute (BCCHRI) and The University of British Columbia (UBC) Faculty of Medicine Associate Dean, Research, BCCHRI. 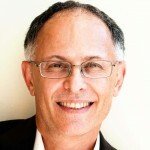 Dr. Wasserman is a senior scientist, professor of medical genetics, and an internationally renowned member of our community. He is committed to driving forward the agenda of research to improve the health of children and families in British Columbia and beyond. This joint appointment is important for both UBC and PHSA. Dr. Wasserman will help advance the development of the academic health sciences centre on the Oak Street campus, in partnership with the site hospitals and research partners. 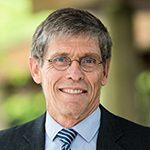 In his role as Associate, Dean, Research for BCCHRI, Dr. Wasserman will represent the research needs of faculty members at the BCCHRI campus and participate in fostering innovative research and advancing the health research strategy for the UBC Faculty of Medicine across the province. Having worked in the biotechnology and pharmaceutical industry, both in North America and Europe, Dr. Wasserman’s research focuses on projects with applied biomedical impacts. His bioinformatics laboratory develops computer algorithms for the analysis of DNA sequences. 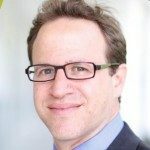 Originally established at Sweden’s Karolinska Institute and since 2002 at the University of British Columbia, Dr. Wasserman’s lab provides international leadership in the computational study of the transcriptional control of gene activity, for which he holds several patents. Recent work from his lab addresses emerging challenges for personalized medicine, including the creation of software for analyzing, interpreting, and delivering DNA sequence data to clinicians to access and interpret patient genetic profiles. 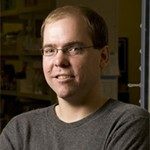 With undergraduate degrees in mathematics and molecular cell biology from the University of Washington and a PhD in oncology from the University of Wisconsin, Dr. Wasserman brings a quantitative perspective to genetics research. He has published over 75 peer-reviewed papers and participated in over $15-million of funded research. He is a Professor in the UBC Department of Medical Genetics and a Scientist at the BC Children's Hospital Research Institute. 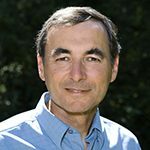 Dr. Wasserman will continue leading an active research program and as a member of the Centre for Molecular Medicine & Therapeutics at BCCHRI and UBC. The appointment was announced November 18, 2013 by Dr. Gavin Stuart, Dean, Faculty of Medicine and Vice Provost Health, The University of British Columbia, and Carl Roy, Chair, BCCHRI Board of Directors, and Interim President and Chief Operating Officer, Provincial Health Services Authority. Kiran Veerapen has been appointed Assistant Dean, Faculty Development effective July 15, 2015 to June 30, 2018. Dr. Veerapen was previously Regional Faculty Development Director, Island Medical Program where she promoted a culture of teaching and learning amongst the undergraduate and postgraduate teaching faculty on the Vancouver Island region. In her new role, she will provide leadership to a team of faculty and staff within the Office of Faculty Development and the Faculty Development Network. She will also ensure the accreditation standards are met for teaching skills for basic scientists, residents, clinical faculty and fellows. The UBC Faculty of Medicine is pleased to announce the appointment of Dr. Wendy Robinson as Assistant Dean, Graduate and Postdoctoral Education effective March 23, 2015 to June 30, 2018. 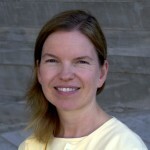 Dr. Robinson is a Professor in the Department of Medical Genetics at UBC and a Senior Scientist at the BC Child & Family Research Institute (CFRI). 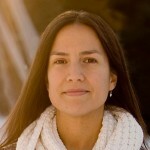 She completed her undergraduate studies at Lewis & Clark College in Portland, Oregon followed by a PhD in Genetics from the University of California at Berkeley specializing in population genetics and genetic epidemiology. She then worked as a postdoctoral fellow at the Medical Genetics Institute at the University of Zurich, Switzerland. 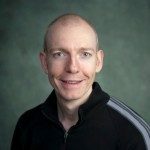 Since joining UBC, Dr. Robinson has been actively involved in undergraduate and graduate teaching, which has been recognized by Departmental and Killam teaching awards. At the CFRI, she has served as Director of the Reproduction & Healthy Pregnancy Research Cluster and a member of the Scientific Steering Committee. Her main research interests involve the genetic and epigenetic aspects of reproduction and early human development. 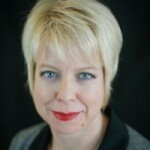 In her new role, Dr. Robinson’s key responsibilities include the creation of a strategic plan to ensure excellence in training and mentoring of Faculty of Medicine graduate students and postdoctoral fellows at all geographic sites, as well as facilitating a supportive learning and research environment with opportunities for students, graduate advisors and supervisors across programs. The Faculty of Medicine is pleased to announce the appointment of Dr. Laura Farrell as Assistant Dean, Island Medical Program (IMP) effective September 15, 2015 to August 31, 2018. Dr. Farrell completed her medical degree at UBC followed by a residency in Internal Medicine and a fellowship in General Internal Medicine at the University of Calgary, and a master’s degree in Education from the University of Dundee in Scotland. She is currently a Clinical Assistant Professor in the Department of Medicine. Since 2008, Dr. Farrell has been heavily involved in the IMP as a Site Education Leader, Ambulatory Site Leader and Master Teacher. In 2014, she was awarded a Clinical Faculty Award for Excellence in Community Practice Teaching from the UBC Faculty of Medicine. As Assistant Dean, IMP, Dr. Farrell will provide specific operational leadership for MD undergraduate education in the IMP to ensure delivery of a high quality educational experience across all four years of the curriculum. She will work in collaboration with IMP course and clerkship directors, clinical and operational leaders and other faculty and curriculum leaders at all distributed sites to ensure efficient, integrated and sustainable delivery of the distributed undergraduate curriculum. We would like to take this opportunity to thank Dr. Adrian Yee for his leadership and his contributions during his tenure as Assistant Dean, IMP. Dr. Yee will continue to contribute to key projects and initiatives, including leading a project introducing ultrasound as a learning tool into the undergraduate medical curriculum. 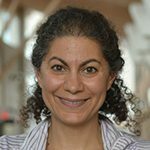 Dr. Christina Roston has been reappointed Assistant Dean, Student Affairs, Vancouver Fraser Medical Program effective July 1, 2015 to June 30, 2018. Dr. Roston will continue to ensure student support services are available to VFMP students. 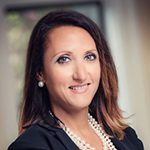 Dr. Carol-Ann Courneya has been reappointed Assistant Dean, Student Affairs, Vancouver Fraser Medical Program effective July 1, 2015 to June 30, 2018. Dr. Courneya will continue to ensure student support services are available to VFMP students. Dr. Fraser Black has been appointed Assistant Dean, MD Undergraduate Program, Students Affairs, Island Medical Program (IMP) effective July 1, 2016 to June 30, 2019, following the long-standing leadership of Dr. Darlene Hammell. Dr. Black, a Clinical Professor in the Department of Family Practice, has been involved with the IMP since the beginning, previously as a PBL tutor and as Discipline Specific (Palliative Care) Site Coordinator, and currently as a Year 4 Course Director (PMP). Dr. Black completed his MD and postgraduate training at the University of Calgary and has worked as a family physician for several years in the areas of palliative care and inner-city medicine. In his new role, Dr. Black will provide personal and academic support for IMP students, working closely with Dr. Janette McMillan, Associate Dean, Student Affairs and Dr. Bruce Wright, Regional Associate Dean, Vancouver Island. We are delighted to announce the appointment of Dr. Clarissa Wallace as Assistant Dean, Vancouver Fraser, effective November 16, 2015 for a three-year term. Dr. Wallace is a clinical endocrinologist in New Westminster, and divides her time between her private practice and the clinical teaching units and endocrinology consultation service at the Royal Columbian Hospital. 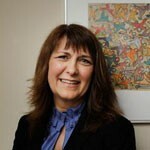 She is also a Clinical Assistant Professor in the Department of Medicine. Dr. Wallace is interested in medical education at all levels from undergraduate studies through residency training to family practice and endocrinology. She has served on the Royal College Examination Board and recently was a Clinician Advisor in MD Undergraduate Program at the Royal Columbian Hospital. 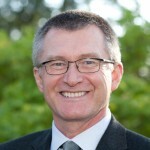 In this new position, Dr. Wallace will provide specific operational leadership for MD undergraduate education in the Vancouver Fraser Medical Program (VFMP), ensuring the delivery of a high quality educational experience across all four years of the curriculum through collaboration with course clerkship directors and with education leaders at all distributed sites. Please join us in welcoming Dr. Wallace to her new role. For more information, visit Dr. Bradley's biography on the Department of Pathology and Laboratory Medicine's website. Dr. Leonard Foster has been appointed Interim Head, Department of Biochemistry & Molecular Biology, effective July 1, 2016. 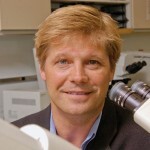 Dr. Foster, a recipient this year of the UBC Killam Research Prize, is a Professor in the department, Director of the Centre for High-Throughput Biology, and an Investigator with the Centre for Blood Research. 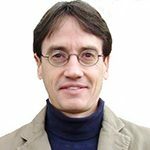 His appointment follows the leadership of Dr. Roger Brownsey. Dr. Edwin Moore has been appointed Interim Head, Department of Cellular & Physiological Sciences, effective July 1, 2016. Dr. Moore is a Professor in the department and a primary member of the LSI Cardiovascular Research Group. His appointment follows the leadership of Dr. Geoffrey Hammond. 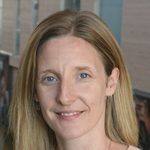 We are pleased to announce the appointment of Dr. Christie Newton as Director, Interprofessional Education, UBC Faculty of Medicine, effective May 1, 2015 to April 30, 2017. Dr. Newton is an Associate Professor in the Department of Family Practice and Director of the Department’s Continuing Professional Development and Community Engagement activities. 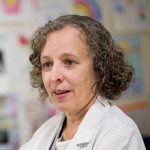 She is also involved in many interprofessional activities including Director of Professional Development of the Division of Interprofessional Education for the College of Health Disciplines, Planning Committee for the Health Care Team Challenge, CanMEDs 2015 Expert Working Group for the Collaborator Role and Co-Chair of the Collaborator Role Working Group of the National College of Family Physicians. 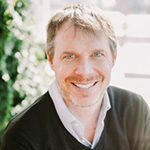 In this new role, Dr. Newton will connect with committees and working groups across the Faculty, our partners and UBC to develop targeted and integrated plans for interprofessional education, reporting to the Associate Dean, Health Professions Education. Dr. Newton’s appointment will follow the leadership of Dr. Lesley Bainbridge who stepped down from this role prior to her retirement later this year. We would like to take this opportunity to once again thank Dr. Bainbridge for her leadership and commitment to this role and wish her all the best. 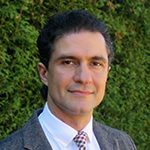 The Faculty of Medicine is pleased to announce the appointment of Dr. Marco Marra as the Head, Department of Medical Genetics for the UBC Faculty of Medicine and BC Women’s Hospital & Health Centre effective January 5, 2015 to September 30, 2017. 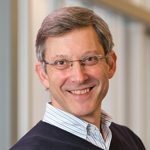 Dr. Marra brings tremendous experience and success in leadership, teaching and research as a Professor in the Department, Canada Research Chair in Genome Science, and Director of the Genome Sciences Centre at the BC Cancer Agency. 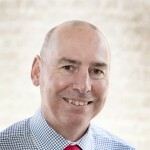 In his new role, he will work collaboratively with faculty and staff, the leadership teams of the Faculty of Medicine and BC Women's Hospital and Health Centre at PHSA, and partners to foster excellence and scholarship in education, research and service to enhance the continued growth and development of the Department. Dr. Marra’s leadership in genomics is particularly relevant in the rapidly evolving clinical application for our patients in the Province of BC and beyond. We look forward to opportunities for innovation in providing patient-centred, more cost-effective approaches, based on the ongoing generation of new knowledge. The Faculty of Medicine is thrilled to announce the appointment of Dr. Susan Forwell as Head, Department of Occupational Science and Occupational Therapy, effective January 1, 2016 to June 30, 2017. 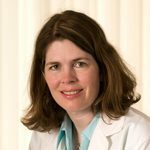 Dr. Forwell’s appointment follows the strong leadership of Dr. Catherine Backman, who has helped drive forward the vision and mission of the department. Dr. Backman, who has been with UBC for close to three decades, will continue her role as a Professor within the department, devoting her time to teaching and mentoring students, advancing research and supporting community collaborations. 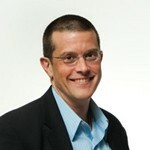 Dr. Forwell is currently Associate Head and Associate Professor in the Department. In her new appointment, she will provide leadership for the array of educational and research activities to promote the study and practice of occupational therapy, occupational science and rehabilitation sciences. The Faculty of Medicine is delighted to announce that Susan Murphy has been appointed Interim, Head, Department of Physical Therapy, effective January 1, 2016 to June 30, 2017. Ms. Murphy is currently a Senior Instructor and Associate Head, Clinician Education in the Department, leading the clinical education curriculum of the Master of Physical Therapy program and providing classroom teaching related to clinical placements. In her role as Interim Head, Ms. Murphy will provide key leadership, representing the department as it continues to expand educational opportunities for the next generation of physical therapists, and make significant research advancements in the field of rehabilitation science. 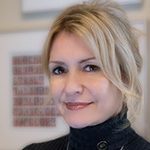 This appointment follows the outstanding leadership of Dr. Jayne Garland, who has been appointed Dean, Faculty of Health Sciences, Western University, effective January 1, 2016. 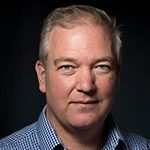 We are pleased to announce the appointment of Dr. Martin Gleave as Head, Department of Urologic Sciences, UBC Faculty of Medicine, effective April 1, 2015 to June 30, 2020. Dr. Gleave brings tremendous experience and success in patient care, leadership, teaching and research. 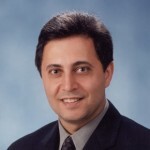 He is a clinician-scientist, urologic surgeon, Distinguished Professor in the Department of Urologic Sciences, BC Leadership Chair in Prostate Cancer Research, and Executive Director of the Vancouver Prostate Centre. 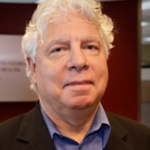 He has received numerous awards for his contributions to cancer research, including the recent MSFHR Aubrey J. Tingle Prize, the Eugene Fuller Triennial Prostate Award, the BC Innovation Council Frontiers in Research Award, and the BC Biotech Award for Innovation and Achievement. In his new role, Dr. Gleave will provide strategic leadership, working collaboratively with faculty, staff and partners, to foster excellence and scholarship in education, research and service to enhance the continued growth and development of the Department. We would like to express our appreciation to the members of the Search Committee and to all of the individuals who contributed and participated in the recruitment process. The calibre of candidates for this position was very high, and we are grateful to the individuals who stepped forward and presented themselves as candidates. Dr. Gleave’s appointment follows the leadership of Dr. Andrew MacNeily, interim Head. We would like to take this opportunity to thank Dr. MacNeily for his leadership, and thank the faculty and staff in the Department for their support during the search and recruitment process. We are pleased that Geoffrey Cundiff has been reappointed Head, Department of Obstetrics and Gynaecology, effective July 1, 2015 to June 30, 2020. Dr. Geoffrey Cundiff is a Professor in the Department of Obstetrics & Gynaecology and Associate of the Department of Urological Sciences. He has been serving as Head for the Department of Obstetrics & Gynaecology at Providence Health Care and is a research scientist at the Centre for Health Evaluation Outcomes Sciences at St. Paul's Hospital. Dr. Cundiff brings a successful track record in education, research and service which will enhance the continued growth and development of the Department. In this role, Dr. Cundiff will foster excellence and scholarship in education, research, and service to enhance the continued growth and development. 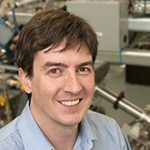 Dr. Fabio Rossi has been extended as Interim Director of the Biomedical Research Centre (BRC), effective September 1, 2015 to December 31, 2016. 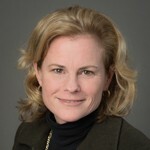 Together with Dr. Kelly McNagny, they will continue to work with BRC members and the broader UBC scientific and clinical community to advance momentum in the development of an innovative program in regenerative medicine, stem cells and plasticity. We are pleased to announce the formal appointment of Dr. Kimberly Schonert-Reichl as Director, Human Early Learning Partnership (HELP), effective September 1, 2015 to June 30, 2020. Dr. Schonert-Reichl has been serving as HELP’s interim Director since July 1, 2014 and is eager to lead this collaborative, interdisciplinary research network, which addresses complex early childhood development issues. A world-renowned expert in the area of social and emotional learning (SEL), her research has focused on identifying the processes and mechanisms that foster children’s positive human qualities, including empathy, altruism, and resiliency. She has designed psychometrically rigorous SEL assessments, including the Middle Years Development Instrument (MDI) – a population-level tool for assessing children’s social and emotional health and well-being. 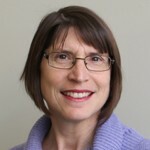 Dr. Schonert-Reichl’s work builds upon the legacy of HELP’s founding Director, the late Clyde Hertzman (1953-2013), and she was recently awarded the 2015 Joseph E. Zins Distinguished Scholar Award for Outstanding Contributions to Research in Social and Emotional Learning, given by the Collaborative for Academic, Social, and Emotional Learning (CASEL). 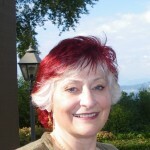 An Applied Developmental Psychologist and a Professor in the Human Development, Learning, and Culture area in the Department of Educational and Counselling Psychology, and Special Education at the University of British Columbia (UBC), Dr. Schonert-Reichl received her B.Sc. in Education from Illinois State University, her MA in Educational Psychology from the University of Chicago, and her Ph.D. in Educational Psychology from the University of Iowa. She completed postdoctoral work as a National Institute of Mental Health (NIMH) Fellow in the Clinical Research Training Program in Adolescence at the University of Chicago, and the Department of Psychiatry at Northwestern University Medical School. Please join us in welcoming Dr. Kimberly Schonert-Reichl to this appointment.